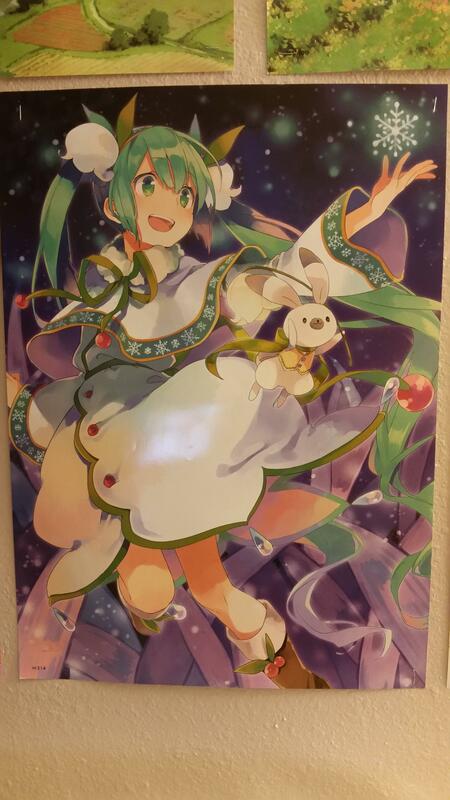 My fiance picked this poster up today because it looked cute, we aren't sure were this is from and wanted to know if anyone could tell us where this is from. This is the Snow Miku 2015 Snow Bell Ver. 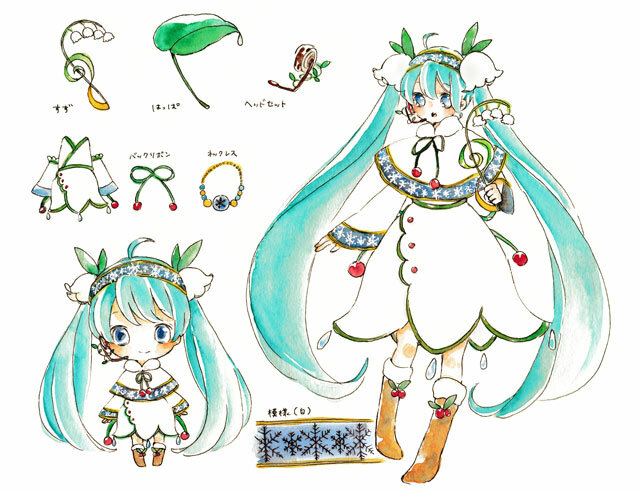 design for Snow Miku, a Hatsune Miku variant made to promote the Sapporo Snow Festival in Hokkaido. Every year there is a new design from piapro (a division of Crypton Future Media dedicated to promoting crowd-sourced content), decided by fans on their NicoNico Live Broadcast. The theme for 2015 was 'Plant Life in Winter', and the winning design is designed by Taran (たらん). The rabbit character is called Rabbit Yukine with variant outfit design by Hayuki (羽雪).